Alpacas originate from the South American Andes. They have been valued for their fleece for thousands of years and it is used for making a range of products from high quality knitted and woven products to felted animal trinkets and rugs. 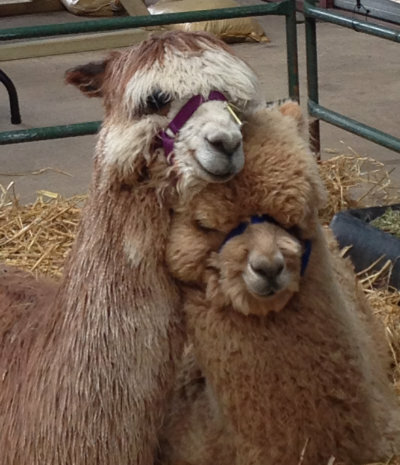 Alpacas are social herd animals that live in groups with a distinct social hierarchy. They are inquisitive, gentle, elegant, intelligent and observant. They like having their own space and may not like an unfamiliar animal getting too close, especially from behind. They will warn the herd of any intruders by making sharp, noisy inhalations that sound like a high pitch bray and will protect their young to the death if necessary. 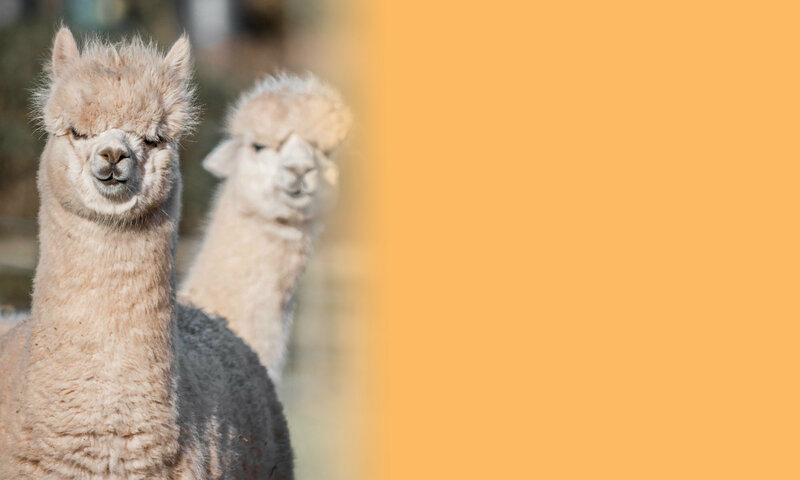 There are two types of alpaca: Huacaya, which produce a dense, soft, fibre looking like a teddy bear and the Suri who produce a mop-like silky fleece made up of pencil ringlets that move and shimmer as the animal moves. Alpaca fleece comes in twenty-two natural shades and is incredibly soft and silky. It is one of the few “noble” fibres and is often compared to cashmere. It is far more comfortable than sheep’s wool because of the lack of lanolin and the finer diameter of the fibres resulting in less ‘prickle’.